Should Monitoring Be Part of Your Program? Our recovery program begins upon entering treatment, but the difficult transition of being discharged from treatment services leaves us with significant work yet to be done. One of the most difficult things we find ourselves grappling with is keeping ourselves on track with our recovery goals. We can be filled with crippling anxiety and self-doubt, visceral reminders of our fear of failure. We can find ourselves still grappling with past disappointment and regret. Perhaps we’ve already relapsed and are afraid we’ll make the same mistakes. Monitoring is something we can add to our recovery program to help ourselves stay aligned with our recovery goals. 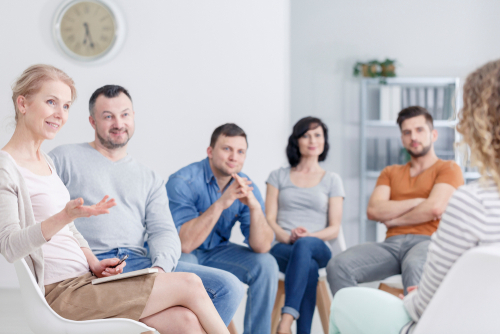 The typical monitoring client is being discharged from a treatment program and already has a discharge plan in place, including therapy sessions, group meetings, special programs and other services. When we allow ourselves to be supported in this way, we receive the additional help we might have been missing in previous attempts to get sober. Monitoring can make all the difference between setting a goal to recover and reaching that goal successfully, with a professional and caring community there to support us. When we are monitored, caregivers are in charge of conducting random or scheduled drug testing to make sure we’re still clean. They will report the results to us, our families and service providers. Getting consistent updates on our progress, and any slips we might have had, helps us to build up our accountability. When living with addiction, many of us began to default on our responsibilities. We prioritized our drugs of choice over our obligations, our loved ones and our own health and well-being. We created lifestyles around our addictions, specifically to enable us to maintain our problematic behaviors. Accountability is often something that got neglected. Being monitored helps us to learn accountability again, in small steps, one test at a time. We are learning the power of responsibility, to ourselves and to the important people in our lives. Choosing to add monitoring to our recovery program shows incredible commitment on our part. We’re telling ourselves and the people rooting for us that we are serious about our recovery, that we’re ready to do the work, and that we won’t settle for shortcuts any longer. We’ve made the conscious decision to prioritize our healing, and we’re willing to do whatever it takes. Being monitored isn’t easy. We can feel scrutinized. It can feel like additional pressure on top of already mounting stress and responsibility. We can feel like we’re trying to get back to our normal lives, and monitoring just reminds us we’re addicts and keeps us from moving forward. It is so important that we keep our recovery as a top priority at all times. We can’t afford to forget that we have a serious illness or pretend we don’t have a problem. Monitoring helps us stay present and grounded in the work we’re doing. Upon being discharged from treatment, we’re facing one of the most difficult transitions of our lives. We’re at a particularly vulnerable juncture. The very real possibility of relapse can weigh heavily on us, casting a shadow of doubt over us. We can feel like all eyes are on us. We’re afraid of the judgment that can come along with that. We can feel our hopefulness and optimism slipping away. Monitoring gives us the group support many of us need to stay on track. It is an unreasonable expectation we place on ourselves to recover on our own, with no help. It’s unreasonable for us to expect perfection from ourselves. Monitoring takes into account our need for understanding and compassion from other people. Being monitored, we’re surrounded by people who have made our recovery their priority and who genuinely want to see us succeed. We want to take advantage of the resources and guidance this support system can provide us. Monitoring helps take some of the pressure off of the loved ones who have been helping us during recovery. Coping with the addiction and recovery of a loved one can be overwhelming and stressful to say the least. Our family members and close friends can feel a tremendous amount of pressure and responsibility to keep us sober. When we slip, they feel they are to blame. They take our recovery very seriously, and it can weigh on them over time. Choosing monitoring means our loved ones no longer have to feel responsible for keeping track of our sobriety. They can be there to support us without feeling as though they have to watch us like a hawk, or take on the huge responsibility of making sure we’re tested regularly. They can resume their role of loved one and leave the caretaking to professional support staff. This can help ease some of their emotional burden and take some of the pressure off their plate. The daunting task of tracking and reporting our progress can be left to the monitor, letting our loved ones get back to their own lives and letting us resume accountability for ours. Monitoring can help us and our loved ones feel less alone, stressed and overwhelmed during the difficult recovery process. It can be an additional tool in our recovery program to bolster the meaningful work we’re already doing. Monitoring can improve our chances of recovery, as we receive the professional support, guidance and structure of professional caregivers. Hired Power can provide the support system and infrastructure you need to achieve and maintain your sobriety. Call (714) 559-3919 today for more information on how we can help you.